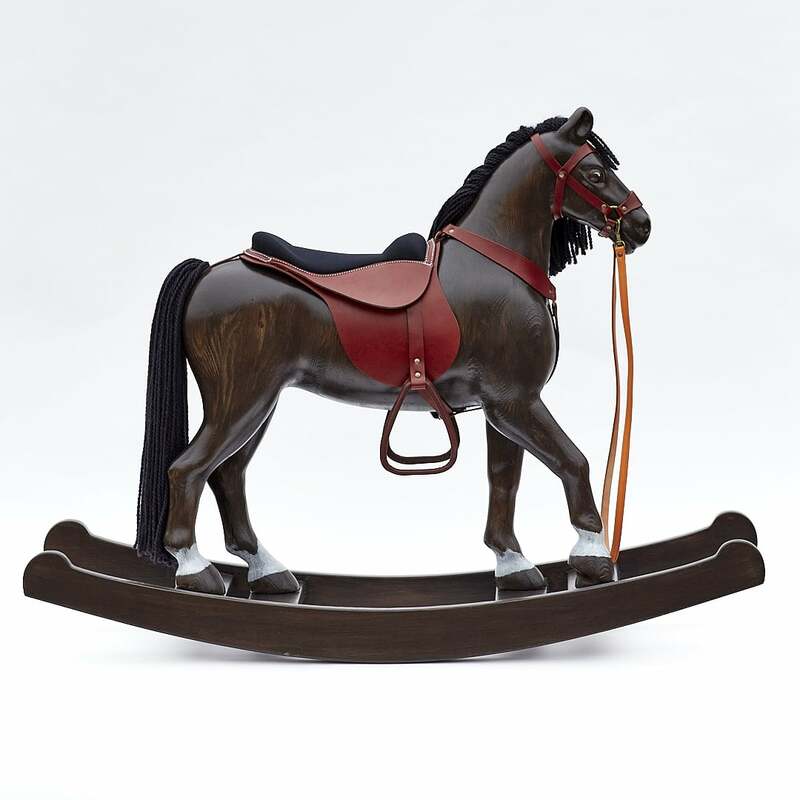 An exclusive large rocking horse made of solid pine wood, with a leather harness and a saddle. The seat height is approx. 53 cm and its load capacity is 95 kg. Bay colour finish. 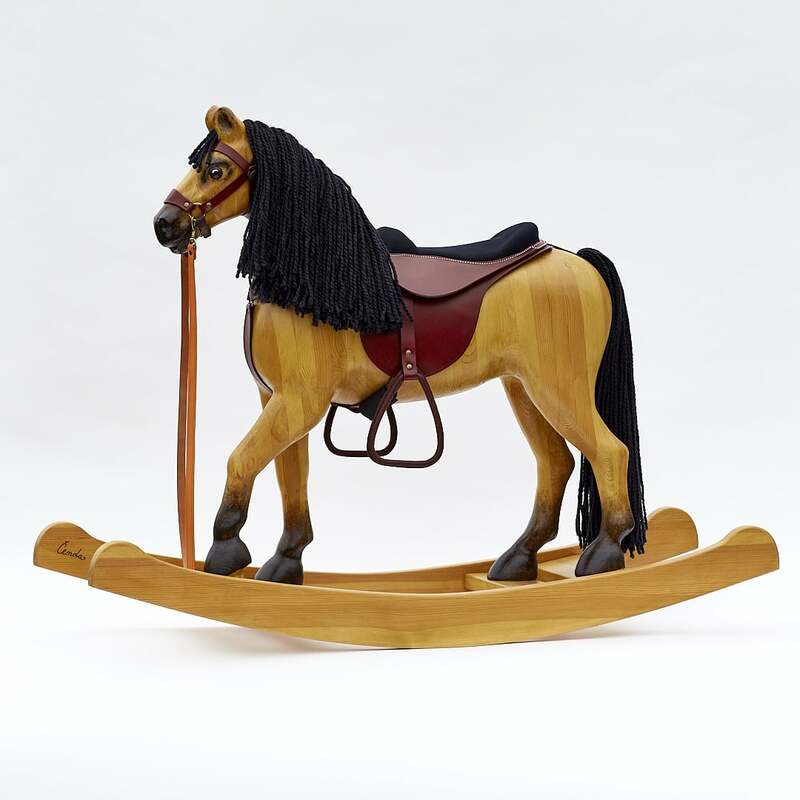 An exclusive large rocking horse made of solid pine wood, with a leather harness and a saddle. The seat height is approx. 53 cm and its load capacity is 95 kg. Black colour finish. 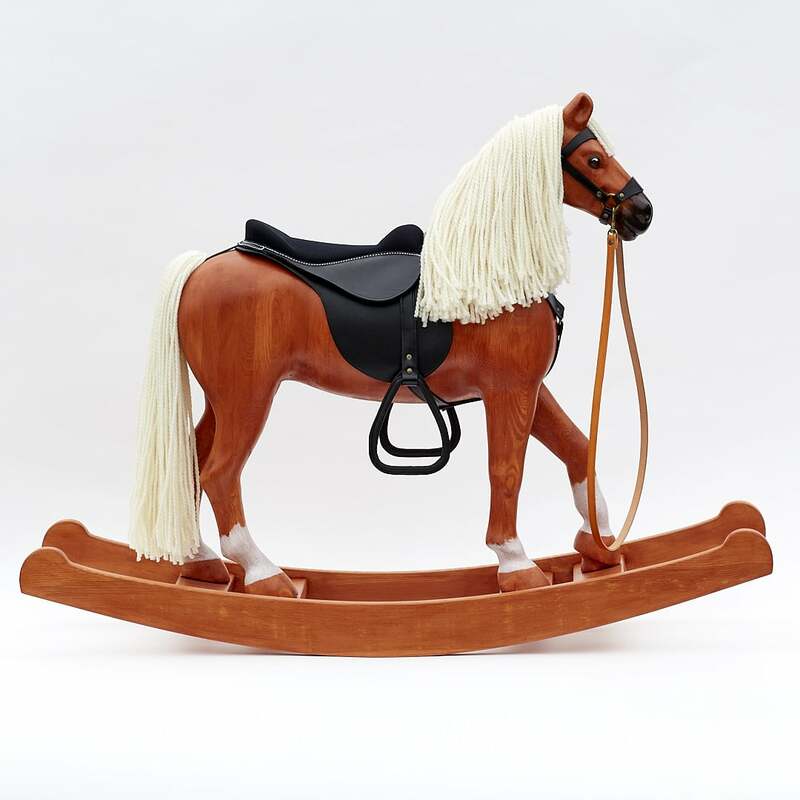 An exclusive large rocking horse made of solid pine wood, with a leather harness and a saddle. The seat height is approx. 53 cm and its load capacity is 95 kg. Tan colour finish. 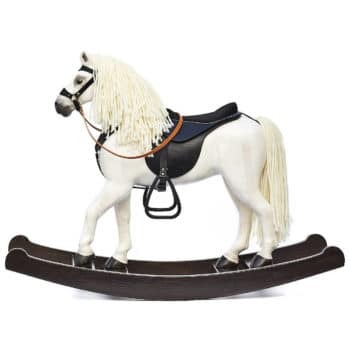 An exclusive large rocking horse made of solid pine wood, with a leather harness and a saddle. The seat height is approx. 53 cm and its load capacity is 95 kg. Chestnut colour finish. An exclusive large rocking horse made of solid pine wood, with a leather harness and a saddle. The seat height is approx. 53 cm and its load capacity is 95 kg. White colour finish. 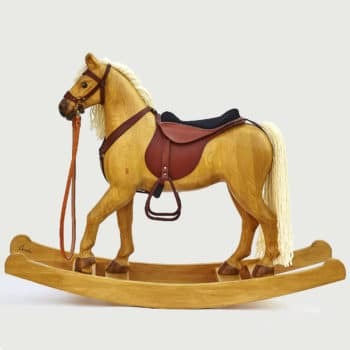 An exclusive large rocking horse made of solid pine wood, with a leather harness and a saddle. The seat height is approx. 53 cm and its load capacity is 95 kg. Isabella colour finish.